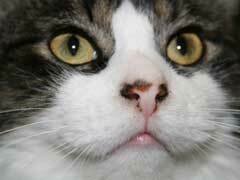 Ringworm in cats is not actually a worm or parasite, but a fungal infection. 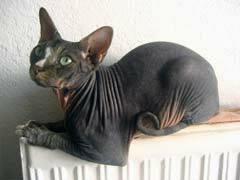 It begins as a small bump, around which the hair will fall out, and then leave a yellowish and crusty scab, or circular, red sores. 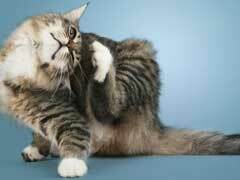 Since it can cause itching, some cats will scratch it and make the hair loss and other ringworm symptoms in cats worse. 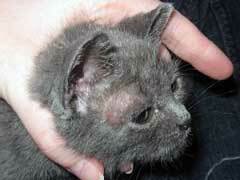 While it often appears on the head and face area, ringworm can appear elsewhere on the body, and thus can be mistaken for mange in cats by owners. However, the soreness of the affected areas should signal otherwise.